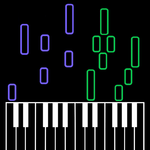 BobGmbH is a very active (and popular) YouTube user, famous for his "IMPOSSIBLE REMIX" piano videos played on Synthesia, with tracks featuring full ranges of notes you'd not be able to play live on a real piano with only 10 fingers, hence the name. BobGmbH started using Arachno SoundFont on his videos in November 2013, when he released his very popular rendition of "He's a Pirate" from the "Pirates of the Caribbean" movie. BGH Music - CHRISTMAS SPECIAL 2016 !! BGH Music - PIANO HARDSTYLE ! BGH Music - CHRISTMAS SPECIAL 2015 !! Harry Potter and the Chamber of Secrets - IMPOSSIBLE REMIX - Harry Potter "Hedwig's Theme"
BGH Music - REVERSE SONG !! BGH Music - CHRISTMAS SPECIAL 2014!! Ron Grainer - IMPOSSIBLE REMIX - Doctor Who Theme "I am the Doctor"
BGH Music - PIANO DUBSTEP ! IMPOSSIBLE REMIX - Sam Smith "Stay With Me"
The Hobbit - IMPOSSIBLE REMIX - Ed Sheeran "I See Fire"
IMPOSSIBLE REMIX - John Legend "All Of Me"
IMPOSSIBLE REMIX - Katy Perry "Dark Horse"
IMPOSSIBLE REMIX - Avicii "Hey Brother"
IMPOSSIBLE REMIX - Ellie Goulding "Burn"